Push-Lock Couplings and Adapters can make water changes and other maintenance chores a breeze. By having them hooked up to reactors, pumps, and water change hoses you can easily use the same pump that runs your reactor to drain your sump for a water change. The interchangeable sizes make them really handy for endless applications around the reef tank. 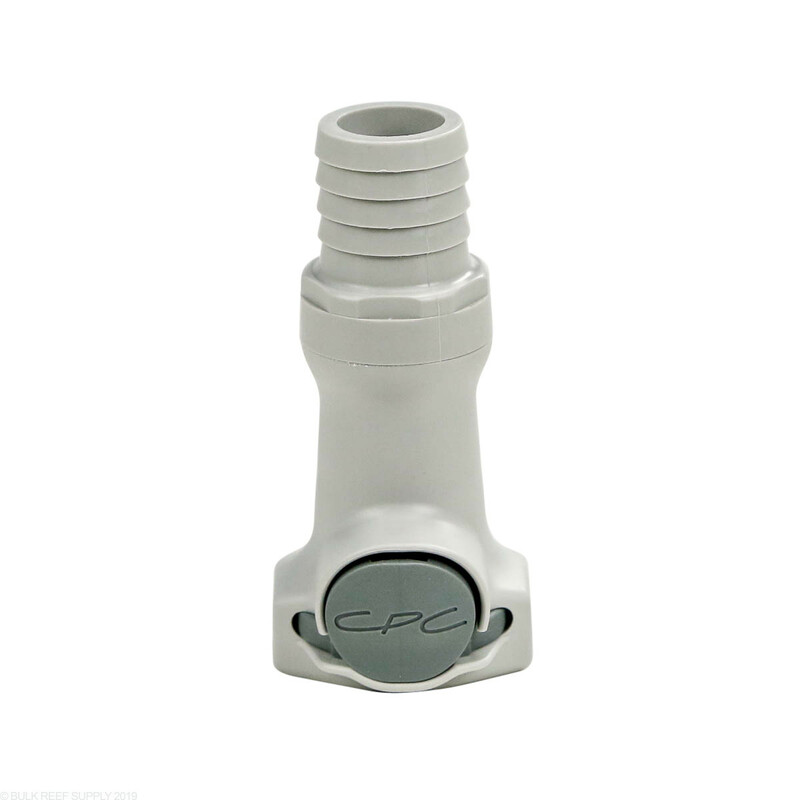 Completed Push-Lock Fittings require 1 coupling and 1 adapter (sold separately). Please see compatibility chart in full details below. 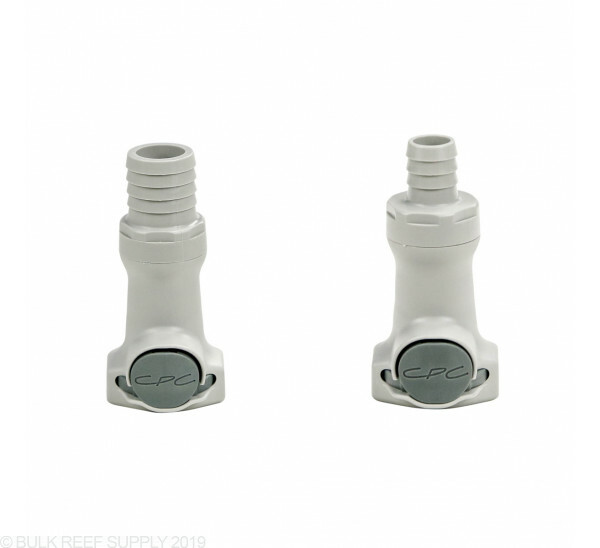 These high flow Push-Lock fittings are an awesome addition to any aquarium. 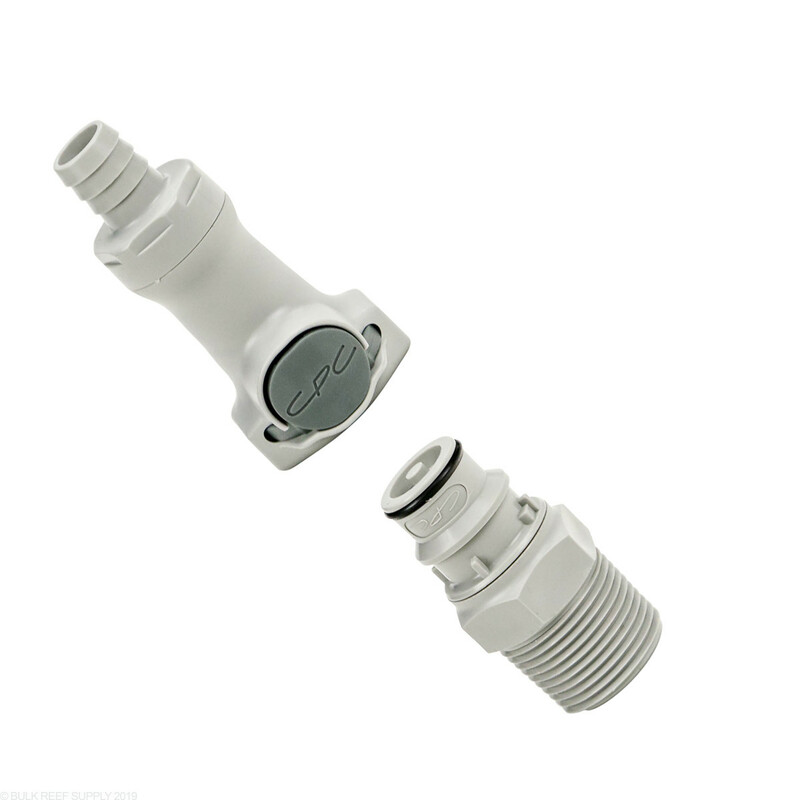 You can now have the ability with the simply push of a finger to disconnect your carbon reactor, ATO pump, return pump or any other piece of plumbing in or around your aquarium. Their patented, ergonomic, easy to use design uses grey polypropylene plastic, and high quality o-rings for a lifetime of service. The design of the Push-Lock fittings allows any coupling to be used with any size coupling. If you need to use a 1/2" coupling you can use any adapter, even 3/4". 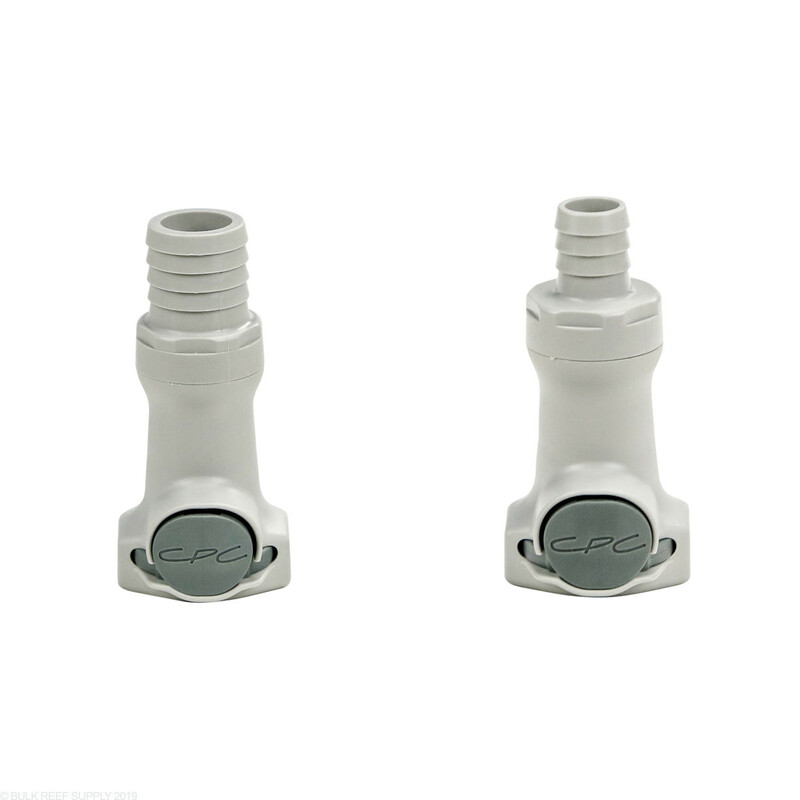 The push-lock side of the fittings do not change in size. Anti-Drip fittings will seal off the coupling end any time the connection between the fittings is disconnected. This is super handy for reactors, ATO containers, saltwater mixing systems, and other filtration equipment. 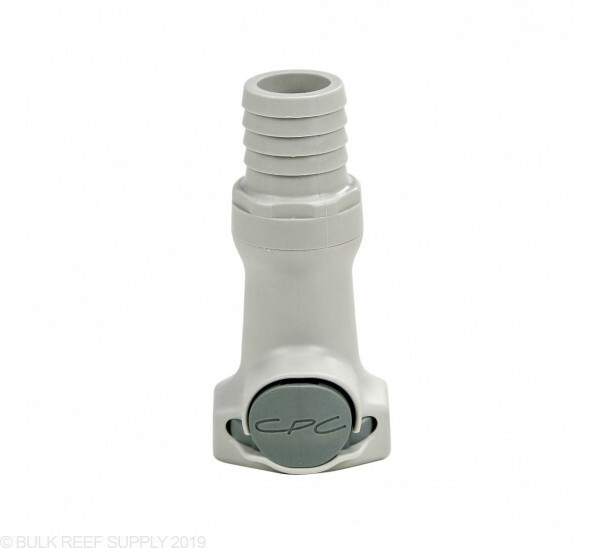 We do not recommend Anti-Drip fittings with water export systems due to the increased chance of particles like sand or shells becoming lodged in the Anti-Drip valve. Note: Anti-Drip Valves are not included unless noted. You need 1 adapter and 1 coupling to complete a Push-Lock fitting. These are great for Zeovit Reactors which have to have zeolite rock changed every 2 to 3 months as well as carbon bags that people often put in the reactor (have to be changed once a month). This helps to keep tank water in the connection lines from making a mess each change out. Nifty gadget for tank apparatus connoisseurs. Exactly what I wanted and had been searching all over for. Good quality feel and the anti drip is great for a hose that's always full of water. Perfect for my RODI & mixing station.